Italian Meatballs! 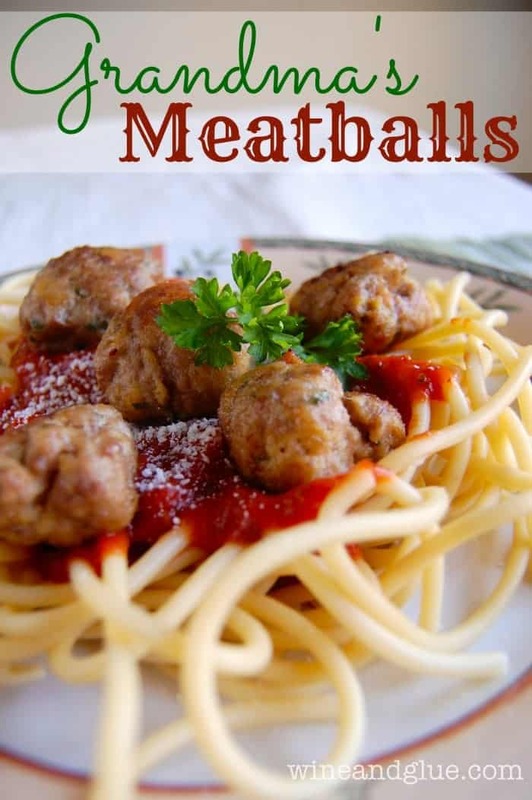 The only meatball recipe you’ll ever need! I briefly considered doing a New Year’s post . . . and then remembered how horrible I am at keep New Year’s resolutions. 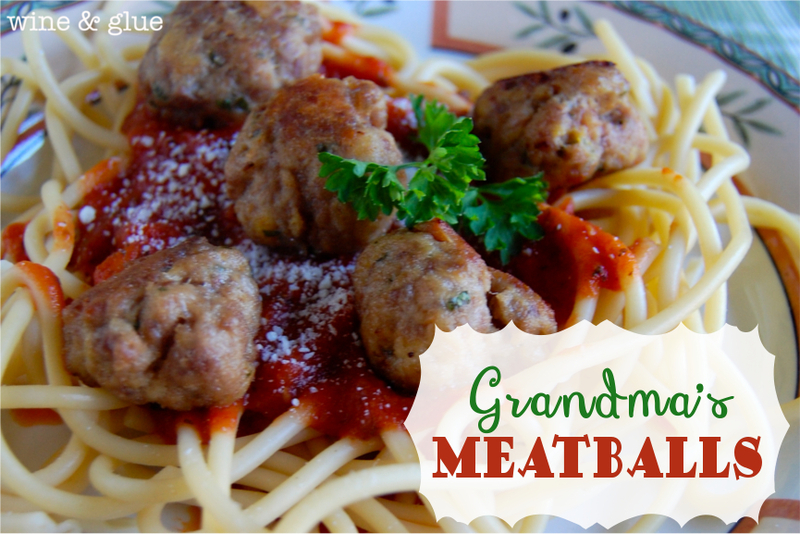 One of my happiest childhood memories is sneaking into my grandma’s basement and sneaking the meatballs she was keeping warm in a ceramic bowl in her second oven. (How cool was she? A second oven??) They were so insanely good, and I am convinced that those meatballs were made and “hidden” with the sole intention of feeding her grandkids. I’m now such a good meatball eater, I could go pro. 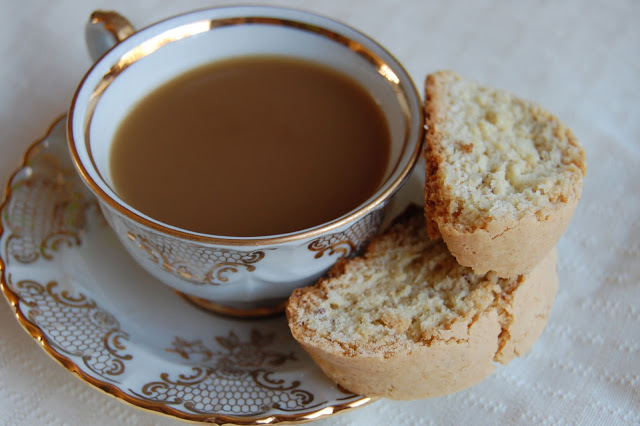 And as a special little New Year’s gift to you, I’m going to share the recipe with you. One of the things that makes this recipe so delicious is the soaked pieces of bread that my grandma put in. Yup, you read that right. 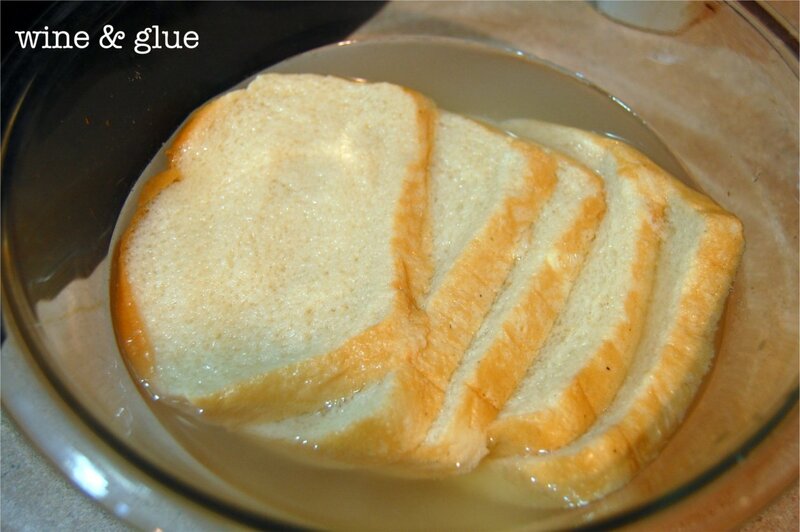 You soak four or five pieces of white bread in cold water for about five minutes and then ring it out. And by ring it out, I mean squish it between your fingers to get the excess water out. It’s gross. But totally worth it. If you are like me and forget to buy the breadcrumbs, just throw five more slices in a 250 degree oven for 30 minutes, turning them half way through and then run them through a food processor. My grandma fried them, but I am far too lazy for that. I just put them on a baking sheet and pop them in the oven for 15 to 20 minutes. Then serve them with your favorite pasta, or just be like me and eat them by the bowlful. 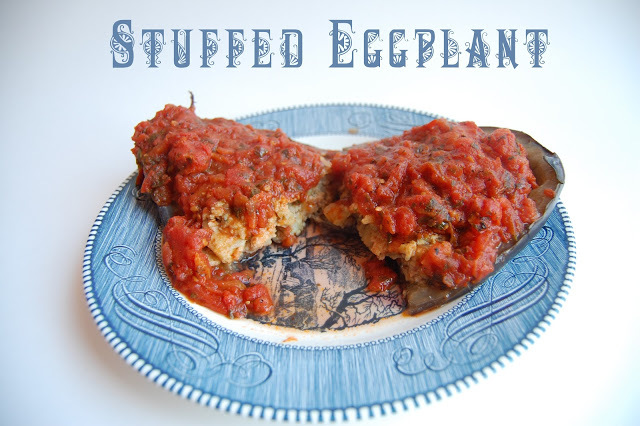 Combine the meat, eggs, and parsley in a large bowl. Add the bread. Then add the dry bread crumbs, garlic salt, and salt. Roll the mixture into one inch balls and place about an inch apart on a baking sheet. 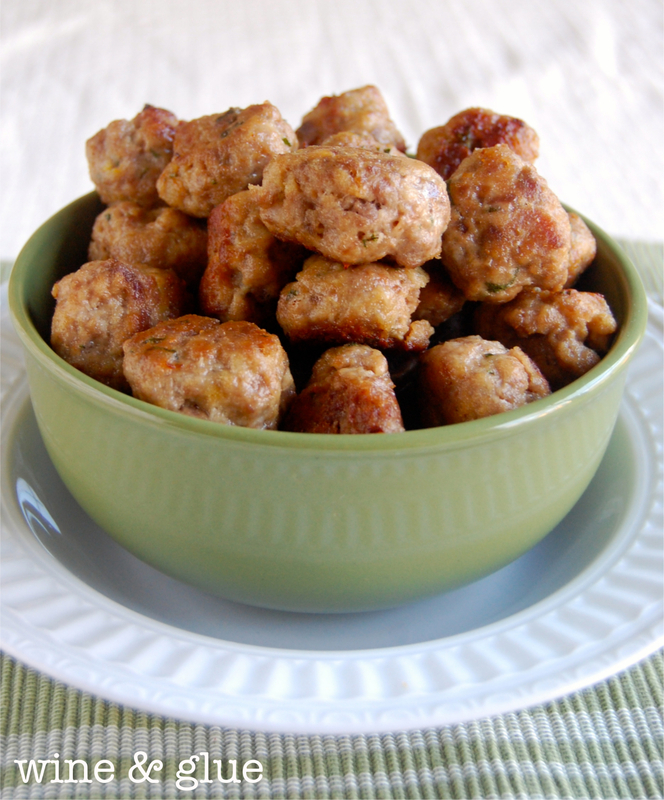 Bake for 15 to 20 minutes, cut a meatball in the middle of the baking sheet to make sure they are done. Looking for more of Grandma’s recipes? Check out these! You have my mouth watering. Those look really delicious. I have never made meatballs before. You may have converted me, though. Ha ha my mom keeps a second oven in her basement, perfect for sneaking bites! 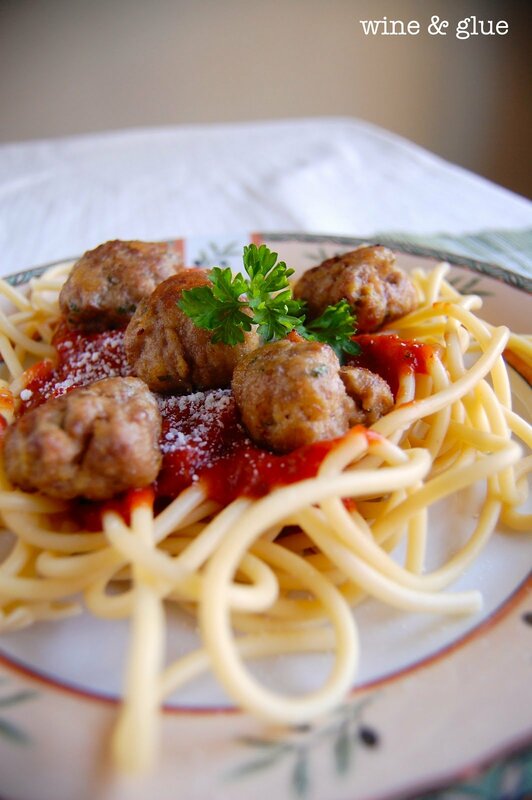 Love homemade meatballs! Delish!! I love your photo too 🙂 Pinned!